BlackBerry Ltd (NASDAQ:BBRY), a world famous smart-phone maker and well known for its secure devices, is planning to offer a cloud-based version of its BES12, a mobile device management service that will make it more accessible for businesses with medium and small sizes who don’t want to run it in their office computers or need to make their devices secured on their own networks. 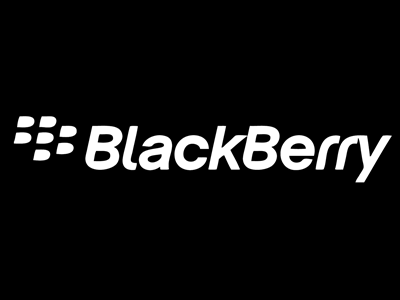 A Bloomberg article discussed the cloud-based version of BlackBerry Ltd (NASDAQ:BBRY)’s BES12. “The new offering targets small and medium-sized businesses as well as departments of larger companies that might manage their own smart-phones. It’ll have a significant impact on our ability to attract a lot more buyers that are interested only in the cloud model,” said Marty Beard, Chief Operating Officer of BlackBerry Ltd.
BlackBerry Ltd (NASDAQ:BBRY) is popular for providing secure devices in the market and its valued reputation has enabled the company to sell its products to governments and corporations in regulated industries. According to the Chief Operating Officer of BlackBerry Ltd (NASDAQ:BBRY), it is easier to afford the cloud product set up while maintaining BlackBerry Ltd (NASDAQ:BBRY)’s high standards for security, which are a benchmark of the company. BlackBerry Ltd (NASDAQ:BBRY) ‘s new BES12 platform is not only for BlackBerry devices, but also manages and secures those devices which have operating systems such as Google Inc (NASDAQ:GOOGL)’s Android, Apple Inc. (NASDAQ:AAPL)’s iOS and Microsoft Corporation (NASDAQ:MSFT)’s Windows Phone platform. That’s not all about the new version, as it also manages and secures medical diagnostic equipment, industrial machinery and even cars. It is very essential for any business to grow and increase its market and customers with the passage of time on a constant basis. BlackBerry Ltd (NASDAQ:BBRY) has made its move to broaden the range of customers who may be interested in a cloud model for its products and to capture more areas of the market. Though it’s not confirmed whether the cloud product would increase revenue for BlackBerry Ltd (NASDAQ:BBRY), according to Beard it would be available in the end of March at a price of $23 to $90-a-month per device, depending on the level of support services.